Would you vote for a pro-abortion, pro-homosexual marriage Republican candidate for president? 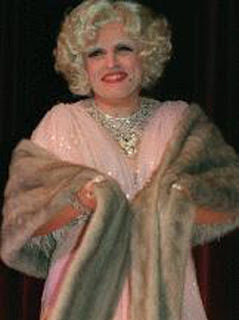 Former New York Mayor Rudy Giuliani is the only Republican candidate for president who supports abortion and homosexual marriage. Will Republican voters vote for a candidate for president who supports abortion and homosexual marriage? Don Wildmon and his AFA is taking out in a big way after Rudy -- and over the fundies' two biggest hot-button issues, yet. This is a declaration of intent: it means that the GOP's evangelical base is absolutely NOT going to accept this guy as their nominee. The firefighters' assault scored some damage; but in today's Republican Party, if you don't get the religious voters that guys like Wildmon can marshal, you don't get anything else that matters, either. Wildmon and the other fundamentalist leaders are out to crucify Rudy -- partly because of who he is, and partly as a warning to any other GOP pol who deviates from their grim scripture. If you're in a ratfucking mood, Go on over there and click the button. Tell 'em not no way, not no how are you voting for a child-murdering, homo-loving, cross-dressing pervert like Rudy. The more confident we can make the AFA feel about taking out after him, the sooner Rudy will be condemned to the worst hell he knows, which is obscurity.